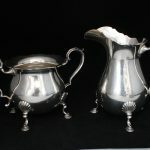 Fisher Sterling Silver 9465 creamer and sugar bowl with Jack Shepard design. They have “C” scroll handles and have shells that connect their feet to their bodies. 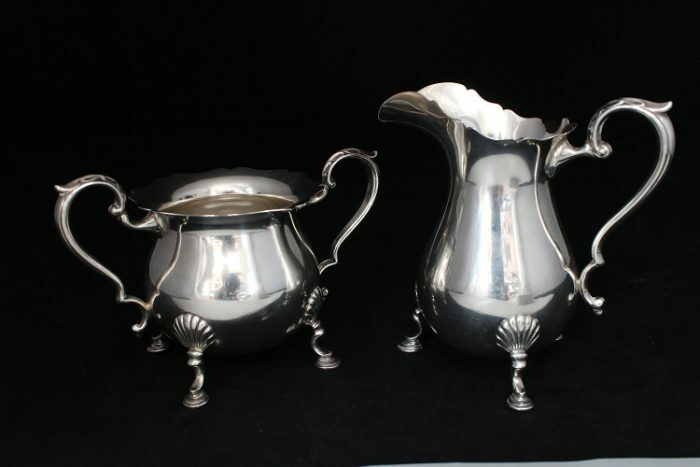 The items are in very good condition with only a few scratch marks.